It's been an amazing month having Stacey Michaud with us.... she has been a joy to work with and wow, what a scrapbook talent. When I asked Stacey to be one of our guest designers this month, I knew I loved her layouts... what I didn't know was that Stacey makes super cool projects too. 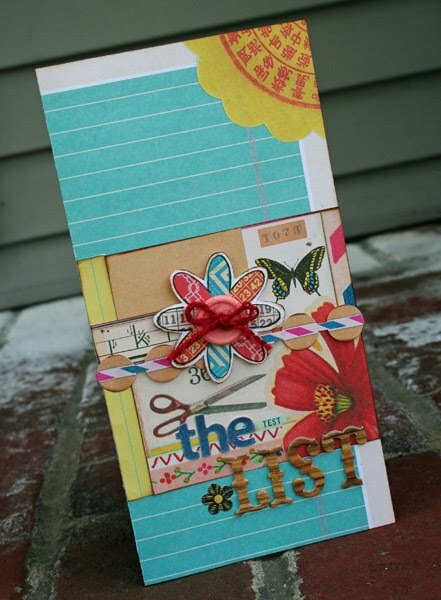 The first one "the list" has the cutest story. I'll let her tell you! "There is a funny story here. My two kiddos are constantly calling out, "Can I have this ____ (toy)?" and my husband and I tell them to put it on their list. So I made them one! The inside has a place where they can write their items down." This is such a cute idea Stacey, and wow, what an adorable project! 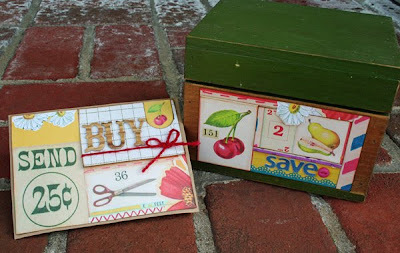 "I loved the little scissors and 25 cents on the Sassafras Lass paper and thought...oh, a coupon envelope! The box is a place to put coupons or flier clippings that I don't immediately need. I simply cut the vintage items and then did some layering of them." What a super cool idea. Stacey also used Cosmo Cricket chipboard alphas and Jillibean Soup twine. Big thanks to Stacey Michaud for all of her wonderful inspiration this month. Since I'm sure that you'll want to check out her blog for even more cool project ideas, here is a link. Thanks SO much Stacey! Be sure to check back Saturday, for our brand new May contest sketch AND a peekie at our May guest designers. :) Have a great day! Very cute! Would love to try to make them all, but are there any directions that can be shared? Thanks! Too cute - I'm just loving this idea! thanks so much for having me! Such an honor! 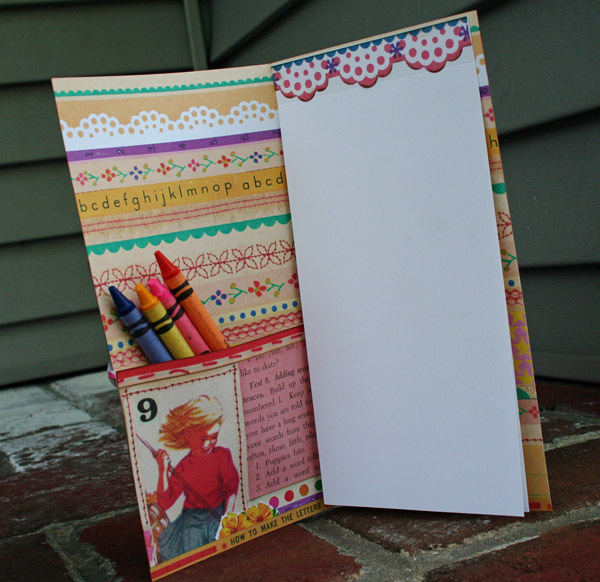 Cindy...I will put up tutorials over at my blog this week! Thanks Stacey! I will be checking your blog! I'm just loving this idea!